How Much Fat Per Day Do I Need? How much fat per day is truly necessary? Fat is the primary fuel for light to moderate intensity exercise. It is the most concentrated source of food energy and supplies more than twice (9 kcal/gram) as many calories by weight as protein or carbohydrates (4 kcal/gram). Fat provides essential fatty acids and is necessary for the proper functioning of cell membranes, skin, and hormones, and for transporting fat-soluble vitamins. You should consume 20% to 30% of your calorie intake from fat. Aside from decreasing overall calories, limiting consumption of dietary fat is the first step toward losing excess body fat. Avoid as much saturated fat as possible. BIG FAT TIP: To minimize fat intake (the unhealthy kind) try to eat low-fat dairy products, eat lean ground beef or ground turkey, and avoid fried foods and processed candy, pastries, candy bars, etc. Your intake of saturated fat should be less than 7% of your total daily calories. You should eliminate trans fat altogether if at all possible. BIG FAT ADMISSION: I grew up thinking fat was bad. Fat makes you fat. No fat was the way to go! Little did I know that I was truly throwing the baby out with the bathwater! Fast forward to a few years ago and I had a host of health issues hitting me that I now believe may have been related to eating too few healthy fats on a long-term basis as I was developing through puberty and into adulthood. Who knew? That was back in the late 60's and early 70's when skinny was in! I am embarrassed to admit that I honestly thought the answer to how much fat per day was little to none. Let's face it! My knowledge and technology was inept back then compared to today. Hell! I didn't even own my first computer until the year 2000! I know this gives away my age, but I gave up caring about that after I hit 55. Right around that point in my life, vanity took a backseat and wisdom grabbed the wheel. Now, my priorities are to share what I have learned and hopefully inspire and teach people to do better than I did way back then. How Much Fat Per Day & What Kind? 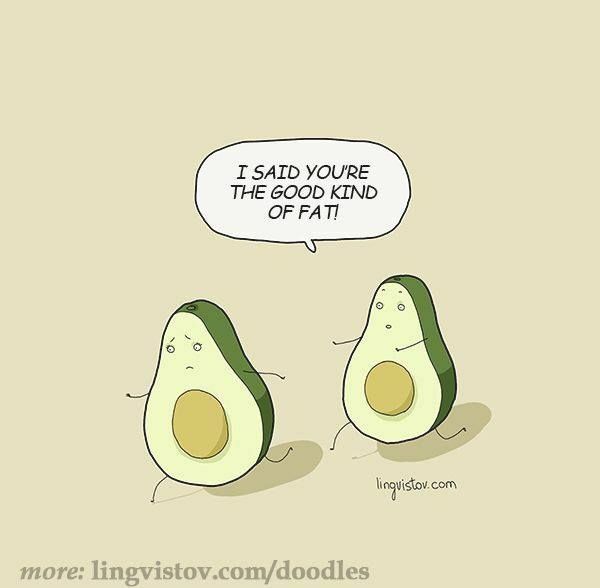 Healthy fat choices are so much fun now that I know they are good for you! Following are the recommendations made by Whole30, and I wholeheartedly endorse them! Choose one or a combo of these per meal. These are just a few of the tasty and healthy foods I now include in my daily meals. The best part is I feel better and my weight is better controlled! Is that crazy or what? Turns out if you make wise choices, fat is actually your friend. Who knew? Just remember to keep those portions under control, peeps!